The world has come to a point where a bomb blast can be classified as 'minor'!?! The headline may be referring to the intensity of the bomb, but it surely doesn't read that way. 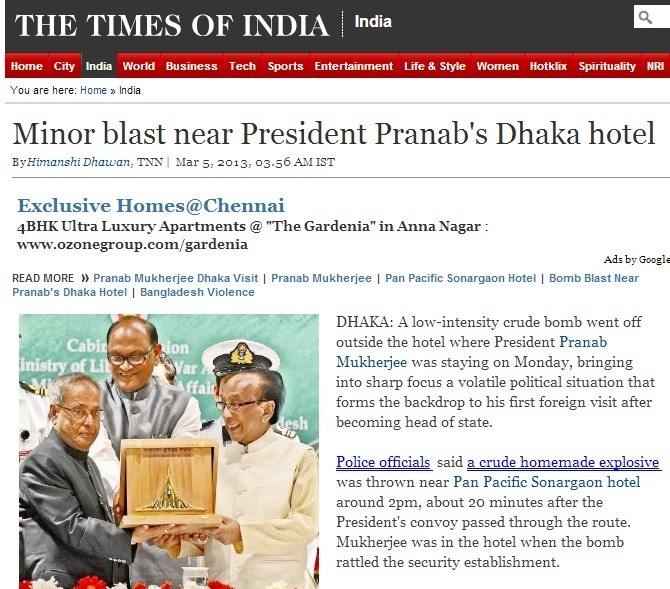 A bomb blast (irrespective of its intensity) is a 'major' issue. At least I think so. Guess it has been happening so often that the 'progressing' world just doesn't care anymore.